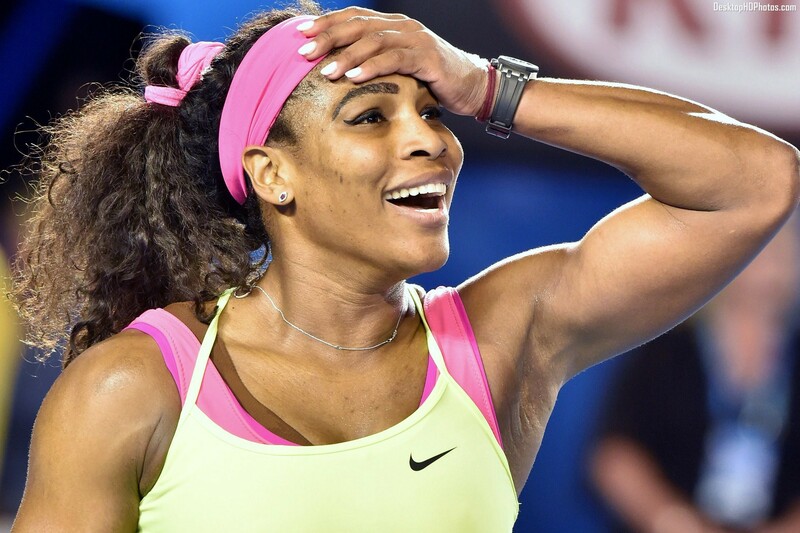 Serena Williams is an American professional tennis player.Williams was born on September 26, 1981 in Saginaw, Michigan to Richard Williams and Oracene Price, and is the youngest of Price’s five daughters. She became the world No. 1 for the first time on July 8, 2002. On the sixth occasion, she held the ranking for 186 consecutive weeks, tying the record set by Steffi Graf for the most consecutive weeks as world No. 1 by a female tennis player. In total, she has been world No. 1 for 319 weeks, which ranks her third in the Open Era among female tennis players. Many commentators, players and sports writers regard her as the greatest female tennis player of all time.On April 19, 2017, she announced a hiatus from tennis until 2018 because of her pregnancy. Her total of 23 Grand Slam singles titles marks the record for the most Grand Slam wins by a tennis player in the Open Era,and is second on the all-time list behind Margaret Court (24).She is the only tennis player in history (man or woman) to have won singles titles at least six times in three of the four Grand Slam tournaments, and the only player ever to have won two of the four Grand Slams seven times each (seven Wimbledon titles and seven Australian Open titles). She is also the only tennis player to have won 10 Grand Slam singles titles in two separate decades. She has won an all-time record of 13 Grand Slam singles titles on hard court. Williams holds the Open Era record for most titles won at the Australian Open (7) and shares the Open Era record for most titles won at the US Open with Chris Evert (6). She also holds the all-time record for the most women’s singles matches won at the Grand Slams with 316 matches. She has won 14 Grand Slam doubles titles, all with her sister Venus, and the pair are unbeaten in Grand Slam doubles finals. As a team, she and Venus have the third most women’s doubles grand slam titles, behind the 18 titles of Natasha Zvereva (14 with Gigi Fernández) and the record 20 titles won by Martina Navratilova and Pam Shriver. Williams is also a five-time winner of the WTA Tour Championships in the singles division. Serena has also won four Olympic gold medals, one in women’s singles and three in women’s doubles—an all-time record shared with her sister, Venus.The arrival of the Williams sisters has been credited with ushering in a new era of power and athleticism on the women’s professional tennis tour.Williams was the highest paid female athlete in 2016, earning $28.9 million in prize money and endorsements. She repeated this feat in 2017 when she was the only woman on Forbes’ list of the 100 highest paid athletes with $27.0 million in prize money and endorsements. She has won the Laureus Sportswoman of the Year award three times (2003, 2010, 2016), and in December 2015, she was named Sportsperson of the Year by Sports Illustrated magazine. Wiiliams is Married to Alexis Ohanian. Williams has one child named Alexis Olympia Ohanian Jr.
Williams is 36 years of age. Alexis Knapp Biography, Age, Husband, Child, Movies and Interview.